When people think of sharks, the most immediate response might be jaws, fright or blood, but if you’re willing to set prejudice aside you might find that these animals aren’t that different from most of us; at least in one important respect: social interactions. Researchers at Exeter University found that sharks have distinct, individual personalities some being more friendly and open, thus willing to congregate in groups, while others are loners, much like human introverts. Sharks of all kinds and species have been thoroughly studied, but while traits like aggressiveness and curiosity have been found to vary, there has been little evidence until now to suggest sharks all possess distinct social personalities. 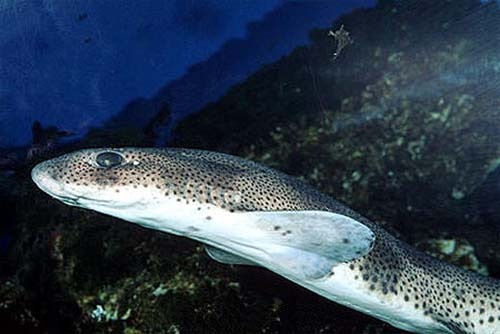 A team of researchers at Exeter, partnering with Marine Biological Association of the UK, studied social interactions among ten groups of sharks consisting of ten juvenile spotted catsharks each, under various environments. The groups were studied in huge water tanks that were either highly complex, mimicking their natural environment complete with rocks and various coral and flora, or minimal with only gravel on the bottom. Juveniles (less than a year old) were chosen because these are the most vulnerable and it is during this time that they begin to form defensive patterns against bigger fish. They can congregate in groups for protection, or set on a loner’s path and seek camouflage. The researchers studied the social interactions between the juveniles and found these retain a sense of personalities no matter the environment and the group – the sharks were regularly switched from tank to tank and the groups were mixed. “We define personality as a repeatable behaviour across time and contexts. What is interesting is that these behaviours differ consistently among individuals. This study shows, for the first time, that individual sharks possess social personalities,” said Professor Darren Croft, of Exeter University. “In the wild these small juveniles can make easy prey items for larger fish, so different anti-predator strategies are likely to have evolved,” he added. Just like people have personalities and can be extrovert or introvert, no matter the setting (office, home, clubs etc), so do sharks: some prefer the company of others, while others stay solitary. Don’t expect them to exhibit any complex behavior, however. The researchers set a personality pattern by observing how many times individual sharks would interact with other – the most social sharks would congregate in groups and sometimes rub against each other, while the loners were most found at the bottom of the tank, blending with the gravel. “We found that even though the sizes of the groups forming changed, socially well-connected individuals remained well-connected under each new habitat. In other words, their social network positions were repeated through time and across different habitats,” said Dr Jacoby, who was at Exeter University at the time of the research but has since moved to the Zoological Society of London. “These results were driven by different social preferences (ie. Social/antisocial individuals) that appeared to reflect different strategies for staying safe. Well-connected individuals formed conspicuous groups, while less social individuals tended to camouflage alone, matching their skin colour with the colour of the gravel substrate in the bottom of the tank,” Dr Jacoby added. The findings, reported in Behavioural Ecology and Sociobiology, support other studies that showed that some sharks are more aggressive and thrill-seeking, while others behave more plainly and lay low.